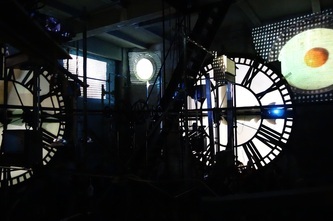 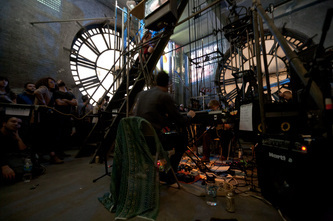 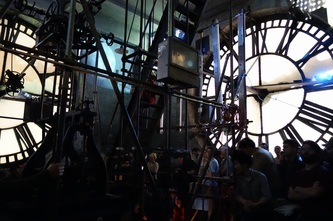 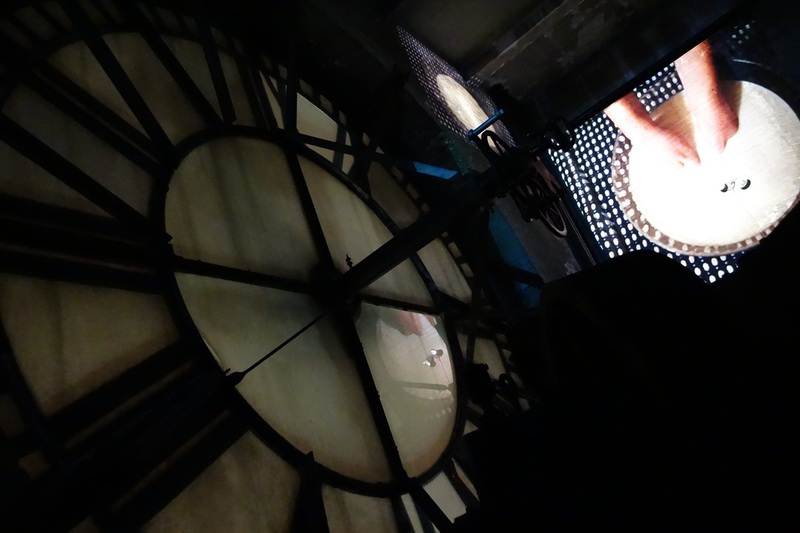 This documentation tries to capture seven video projections on all four walls of the Clock Room while the band, Peals, performs in the middle. 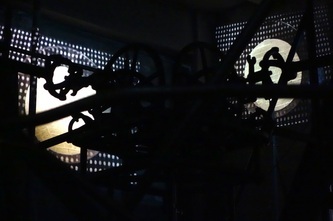 I created four separate 30 minute videos, all stop motion animation, that are meant to be played simultaneously. This never allows the viewer to see all of the videos at once, yet keeps one more actively involved in watching and drawing connections. 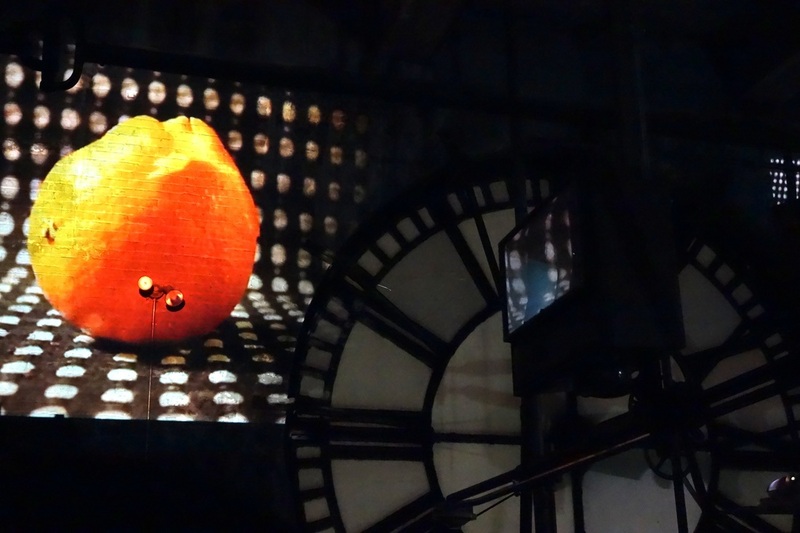 The music and the videos were specifically designed for the space. 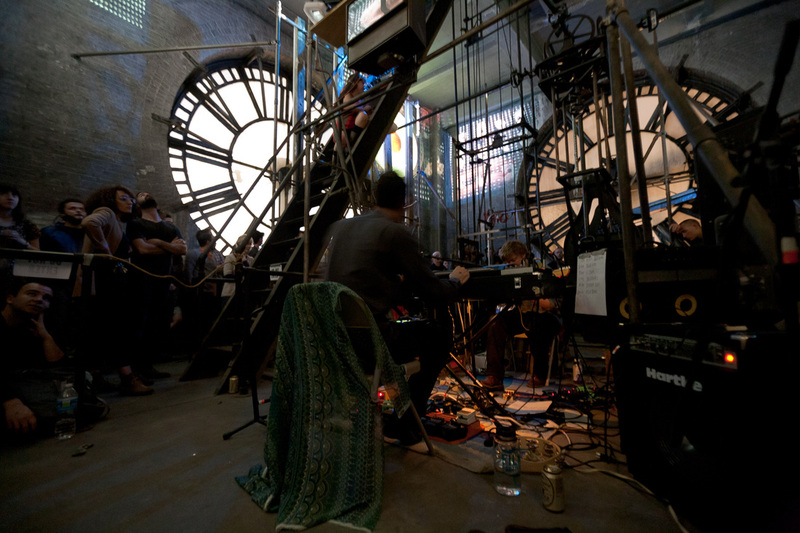 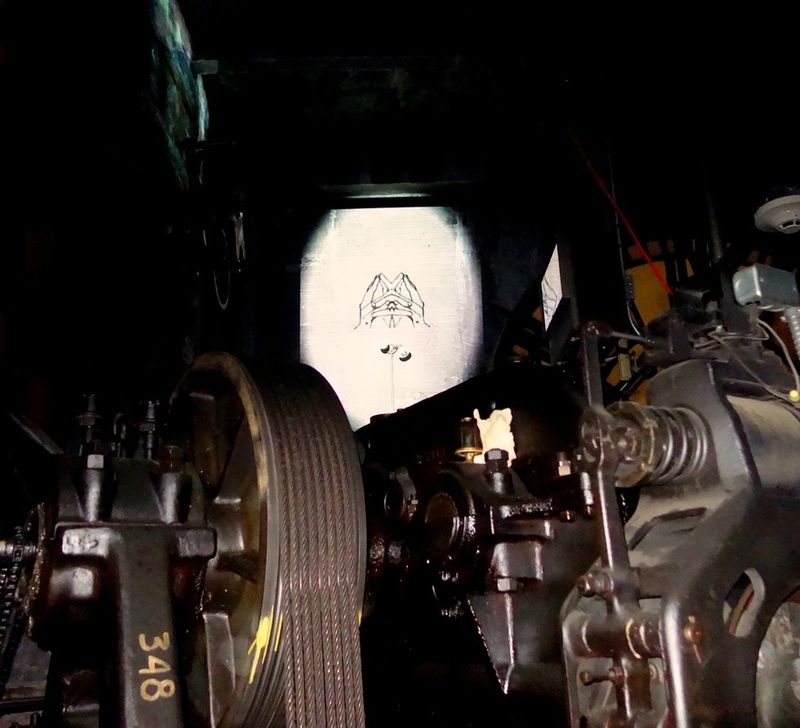 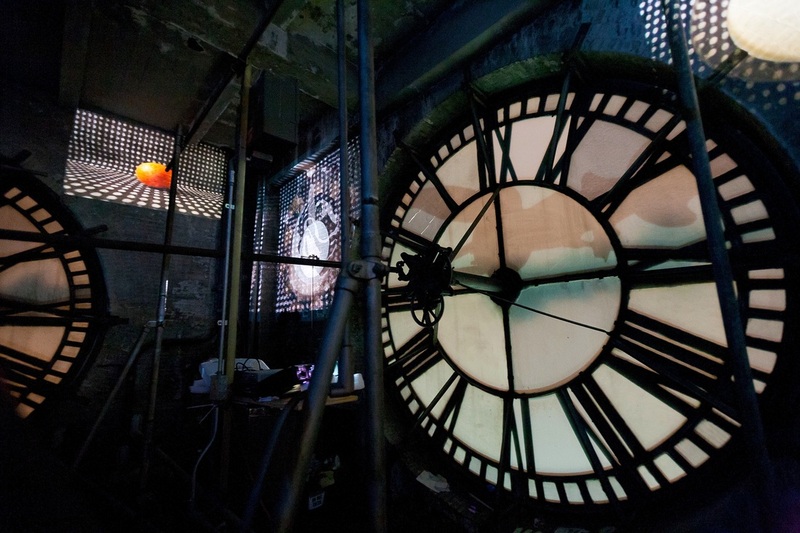 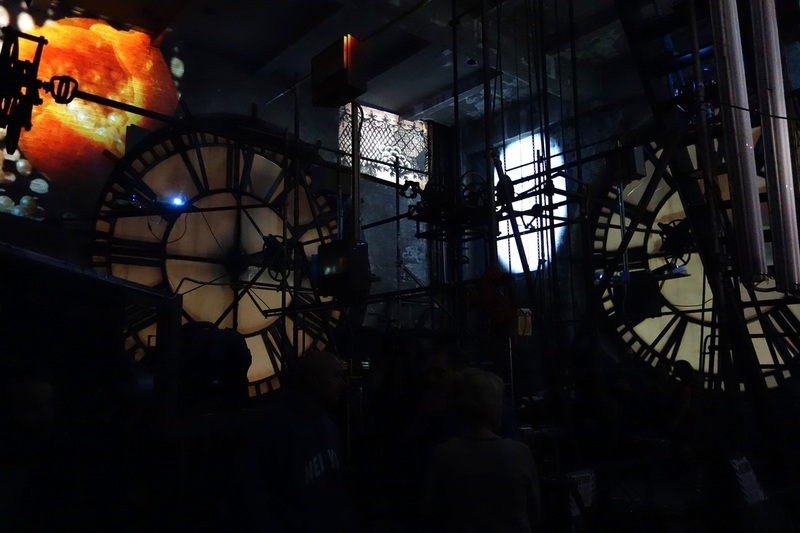 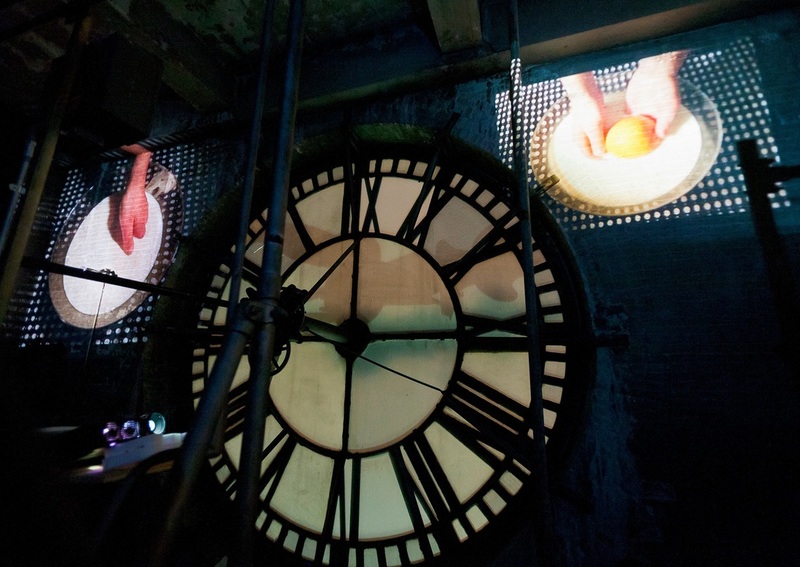 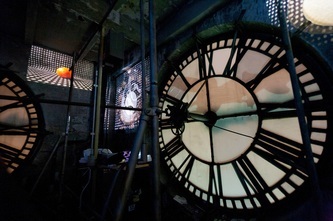 Bringing awareness to our relationship with time, and the ultimate ephemeral nature of all things, the event is an all-immersive art and sound installation that interacts with the industrial mechanics of the building.